Two walled gardens, formerly a vegetable garden to the west and a farmyard to the east, are symmetrically arranged to frame the green carpet, itself bordered by a double avenue of lime-trees. 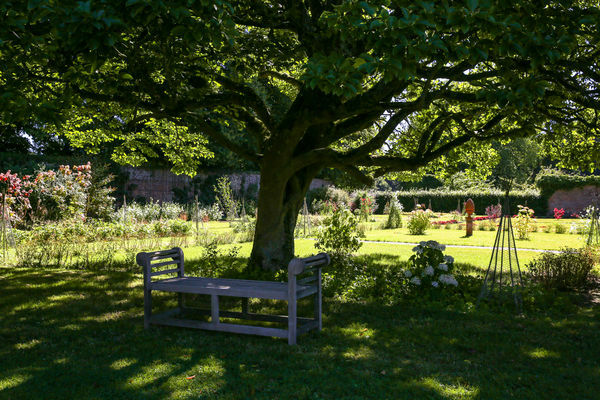 The vegetable garden is marked by a central pond which punctuates in its middle a pergola of box trees and roses. The park also unveils the remains of a V1 launch pad built during the Second World War, and discovered by the resistance fighter Michel Hollard. The castle, which can also be visited, houses the collection of Opera director Alain Germain, the premises owner. There is no review about Jardins Du Bosmelet, be the first to leave one !